It's the day you've dreamed about since childhood. Your wedding should be everything you’ve ever wanted and more. At Omni Hotels, it can be. 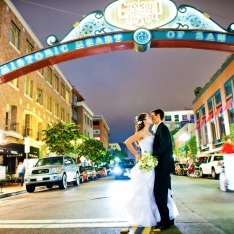 Our only purpose is to make sure your wedding day is as magical as you imagined. From grand receptions to intimate rehearsal dinners or bridal brunches, we offer elegant event spaces, beautiful accommodations and exceptional food and beverages for virtually any size affair. Our wedding consultants provide extraordinary personal service and an attention to detail that ensures everything goes as planned. So you can relax and enjoy your big day from "Dearly Beloved" to "Bon Voyage." You have contacted Omni Hotel!